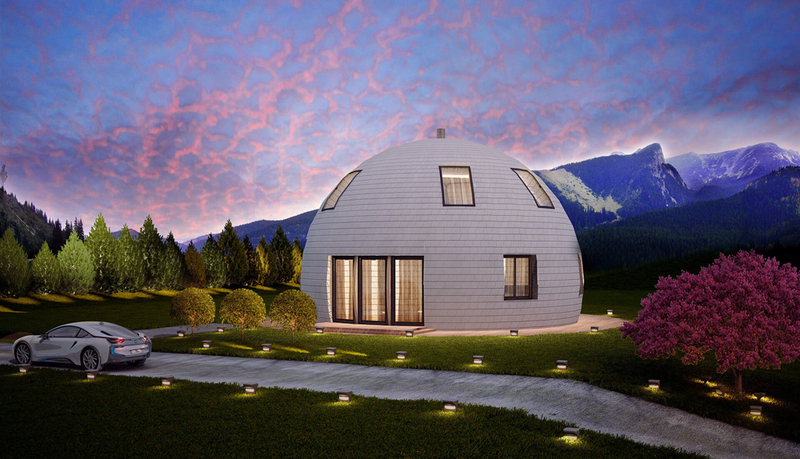 Russian company Skydom has created a series of dwellings that revolve around a contemporary rounded structure. 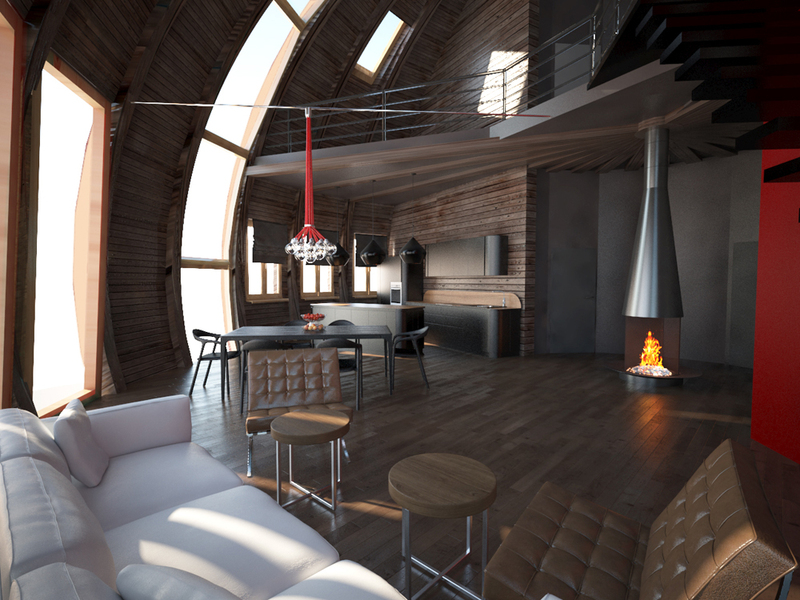 Skydome has six different models that vary in size, starting at 34 square meters and going up to 300 square meters. Although the living space varies, the construction of each home uses the same high standards to ensure it’s durable and can withstand nature’s elements – especially the snow. 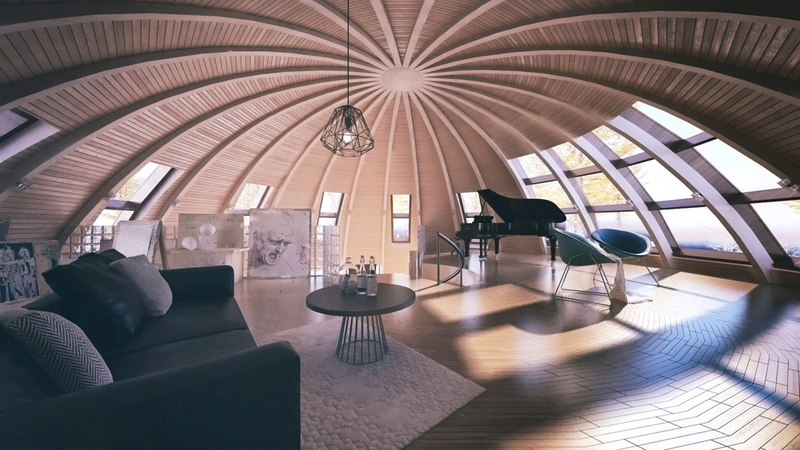 The Skydome supports up to 700 kilograms (~1,543 lbs.) of snow per square meter. 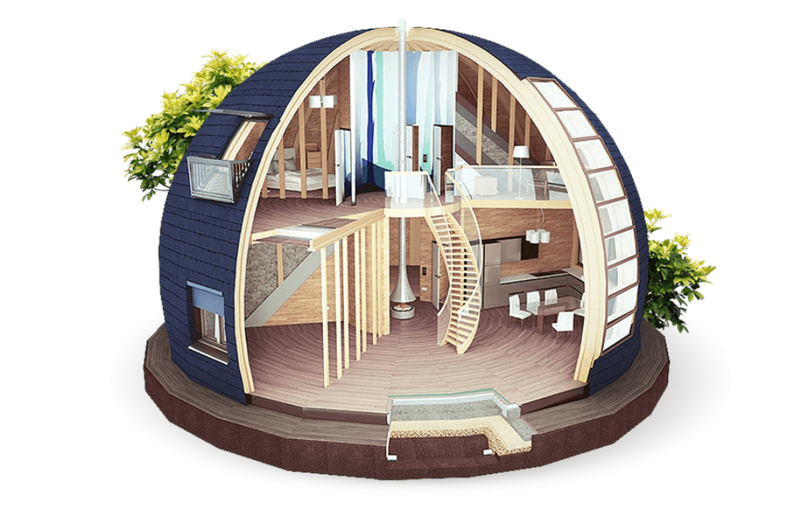 The dome shape also presents some unexpected and unique advantages for building and decorating. 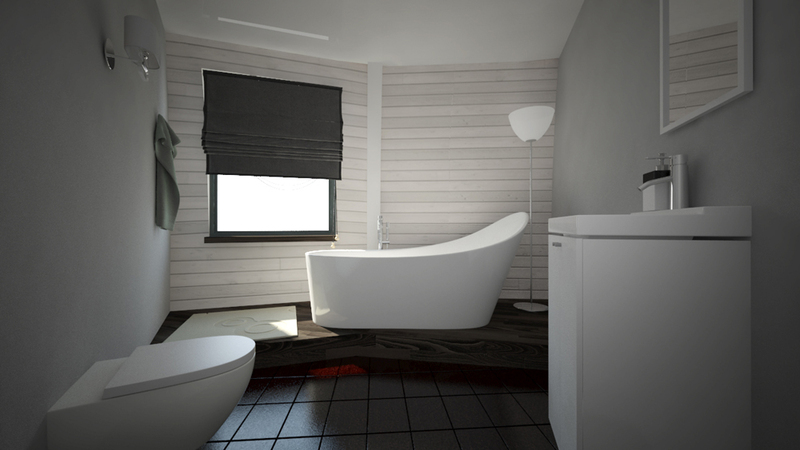 Thanks to the curved walls, it’s energy efficient and has a low rate of heat loss. 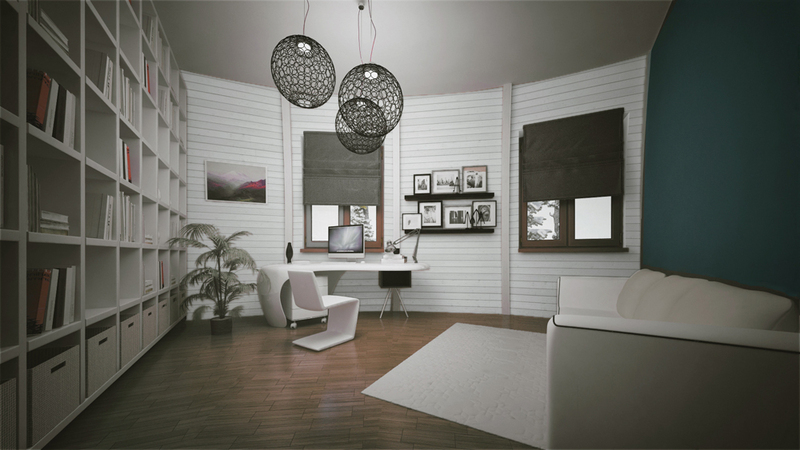 And since there are no load-bearing walls, it creates a lot possibilities for interior design – some residents might choose a closed-off second story, while others may want a completely open home that’s perfect for parties and entertaining.